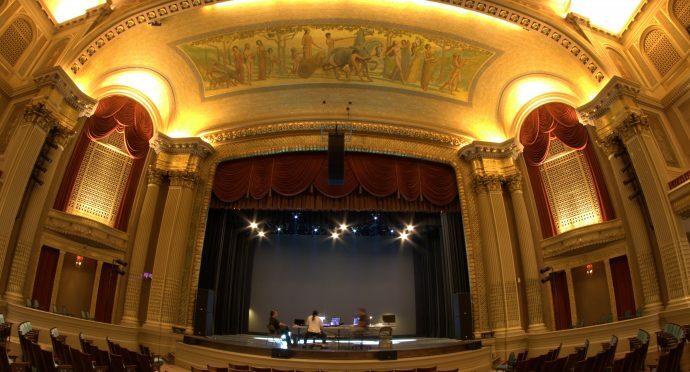 Hawaii Theatre Center – Custom Audio, Inc. 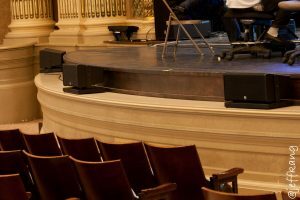 Custom Audio, Inc. in partnership with Electrovoice, provided not one, but two completely separate systems that also were able to combine into a larger system! 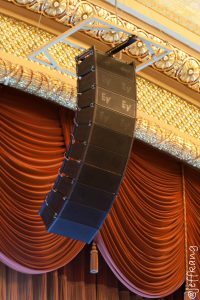 The first system consisted of a center line array, subwoofers, and fills to directly replace their aging system. The second system was a dual-level 7.1 Surround Sound system that could also convert to being a stereo performance system. Electrovoice XLD-281 speakers were utilized for both system and NetMax N-8000 processors were used for both as well. 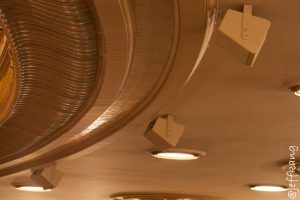 Combined by Dante Networked Audio, the systems are able to share audio and routing while giving the theatre manager a single interface to control it.